If you’ve got a can of beans around, here’s a fun ways to use them. 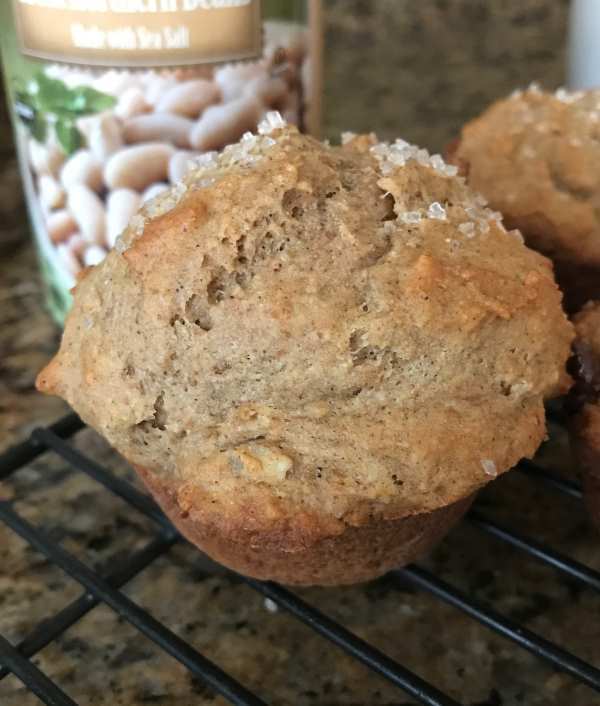 This recipe for Banana Bean Muffins is from The Today Show website. It calls for pureed white beans, 2 very ripe bananas and a blend of spices. The results are handsome muffins that rise high and aren’t too sweet. Plus you get to tell everyone they’re made with beans! My only concern when making these was that there is no added salt. I like salt so I threw in a pinch, but I think you could get by without it. As for the chocolate chips, they were a definite improvement. However, if you are eating these for breakfast and want to keep the sugar down, the muffins are fine without them. Preheat oven to 350 degrees F. Grease 12 muffin cups. In a food processor, process beans with 1-2 tablespoons of water to make a puree. Add bananas, eggs, brown sugar, yogurt, oil and vanilla. Puree until smooth. In a large bowl, whisk together the flour, baking powder, baking soda, cinnamon and ginger (if using). Add salt if desired. Add the wet ingredients to the dry ingredients and mix to make a thick batter. Fold in nuts and/or chocolate chips. Spoon batter into muffin cups and put in the oven. Bake for 20 to 25 minutes or until a toothpick inserted comes out with moist crumbs. Interesting recipe! A little extra fiber and protein. This is so cool! 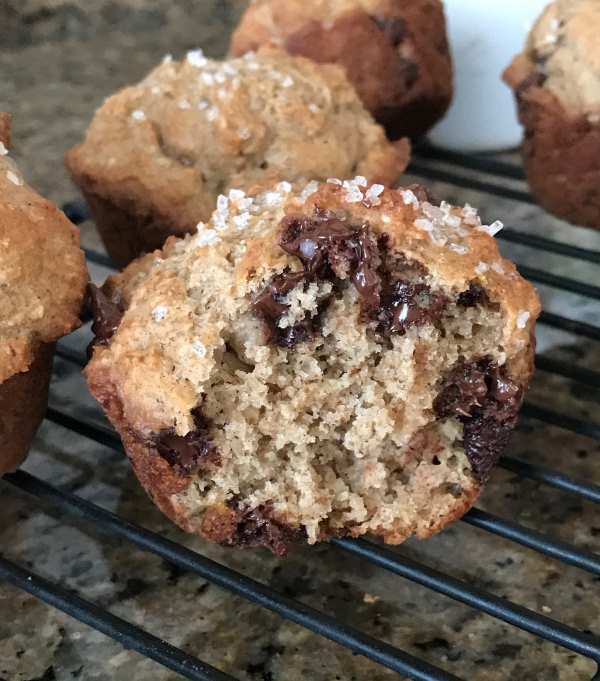 What an incredibly healthy muffin…including the chocolate!